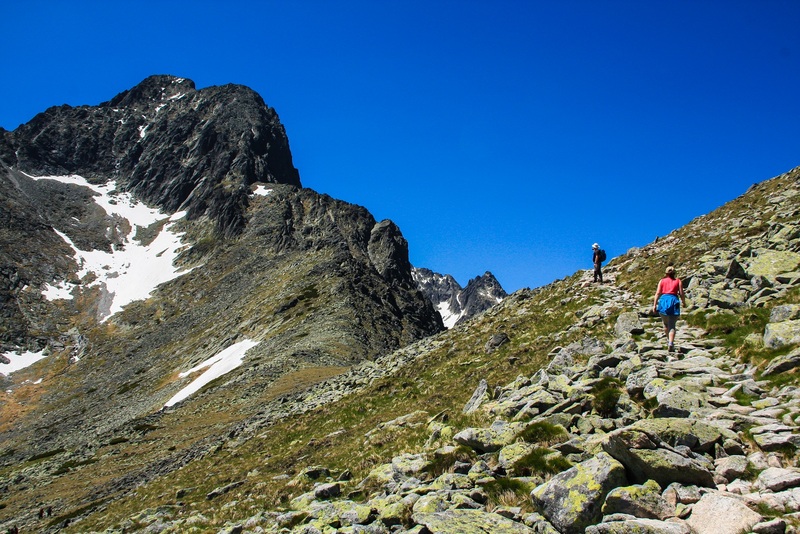 All about the 5 Best Hikes Of Slovakia In 5 Days. In this tour I combined my most favourite hikes in 5 different areas. It was not an easy task. In There are so many amazing hikes, worth of walking, that it was really difficult for me to choose the best 5. During 5 days, we are going to visit 5 mountain ranges and 4 national parks. Alltogether we are going to walk for 78 km and ascend approx. 4 km. I promise, you are going to feel like in the paradise, the Slovak paradise, at the end of the tour, where we are going to hike through gorges, along the waterfalls and climb up the ladders. 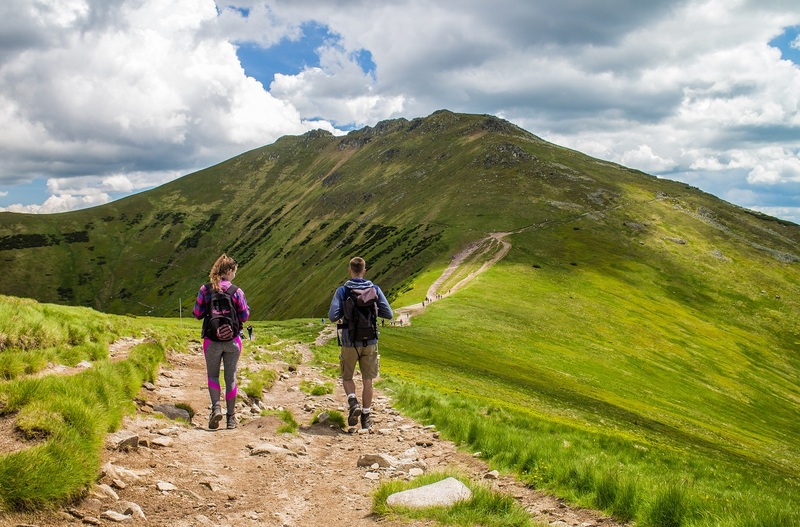 But before, we need to accomplish another 4 hikes, beginning with a hike to the peak Velky Rozsutec, which is considered to be one of the most beautiful peaks in Slovakia. Its top is home to the eagles. The Tatra mountains – Low, West and High are expecting us to come in the following days. In all of them I will take you to my most favorite places. We are going to walk through a maze of the dwarf pines, along the brooks, relax by the crystal clear lakes, observe the chamoix, taste the fresh blueberries and cranberries and who knows what else. This tour is challenging and is suitable for hikers with previous experience and with good level of physical fitness, as the hikes involve also the elements of scrambling and walking while holding the scrambling chains. The average length of the hike is 18 km and the average ascent is 1000 m. Each day we will be walking for about 7-8 hrs. After several days of hiking you may feel tired. In this case we can change the program, make an easier hike in the morning and then you can spend the afternoon for example in the thermal pool or we can do some sightseeing. Everything depends on your wishes. First day is a meeting day. The transfer from the Vienna or Bratislava Airport is included. If you need the transfer from some other place, let us know and we will arrange it for you. Shadowy rocky gorges – the Jánošikové diery is a must when visiting the Mala Fatra mountains. The good news is, that we have to walk through the gorges, as it´s the way to the top of the peak Velky Rozsutec. As I mentioned, its top is home to eagles. If we are lucky, we will see the eagle flying above us. On a sunny day it´s possible to see the West and Low Tatras. When I´m walking on the ridge of the Low Tatras and I look to the left, I see the whole mountain range of the West and the High Tatras. And when I look to the right, I have a feeling that I can see the half of Slovakia. I´m convinced, you are not going to regret, if I take you there. In the surroundings of the highest peak of the Low Tatras – Ďumbier, it´s possible to see the herd of chamoix. Hopefully we will see them as well. 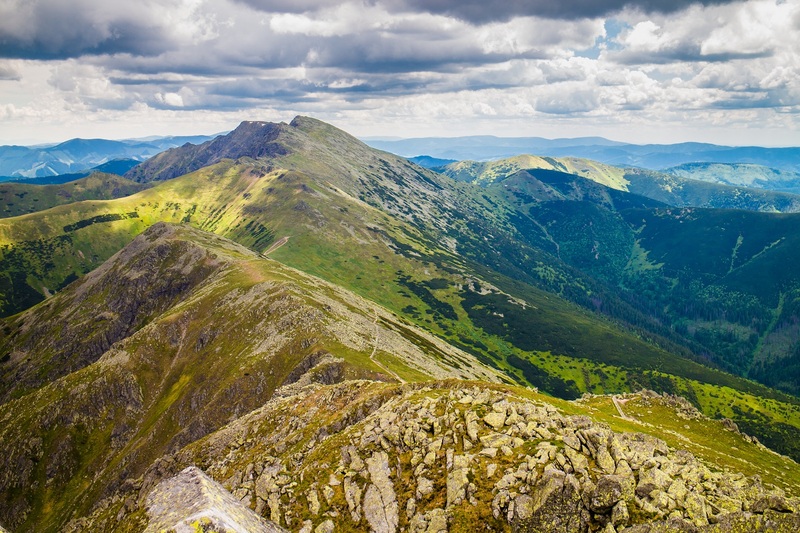 The advantage of the West Tatras is, that you are not going to meet so many people as in the High or Low Tatras. It´s not because this area is not so interesting. It´s because the people doesn´t know it so well, what is good for us. 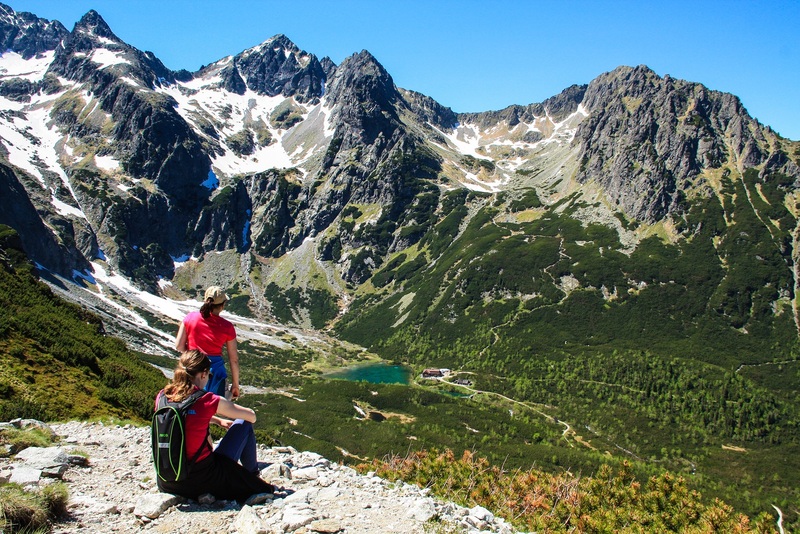 This is probably my most favourite hike in the High Tatras. We are going to walk below the 2500 m high peaks, around the clear mountain lakes, along the streams and have the lunch at the mountain hut, which is situated at the shore of the Green Lake, surrounded by monumental peaks. The Slovak Paradise is famous for the adventure walking through its gorges. To accomplish the hike in the Slovak Paradise, you shouldn´t be afraid of walking on the wooden ladders with no handrails, climbing the vertical ladders and walking on the iron ledges above the river. There are several hikes to choose and the one we will do depends on, how you are going to feel after 4 challenging days. If it´s going to be easier or more difficult one. Transfer to the Vienna or Bratislava Airport is included. We can also arrange the transfer for you to other places upon agreement. We always try to choose nice and cozy hotels with minimum 3 stars, most likely family owned. We can´t say now, where exactly you are going to stay, because it depends on the dates you choose and on the occupancy of the particular hotel. What kind of clothes and shoes do I need?How difficult the scrambling parts are going to be? What kind of clothes and shoes do I need? How difficult the scrambling parts are going to be? The essential is a pair of good waterproof hiking boots with ankle support. The weather in the mountains may change quickly. Therefore, even in summer, you need a sweater and waterproof jacket, waterproof trousers or waterproof jacket. You also need a day backpack. You will receive the detailed packing list after the booking. There will be scrambling parts on the day 1,3 and 5 during the descent as well as during the ascent. While some parts are really short, some other parts are up to 30 m long. Look into the gallery to see, what you should expect.